If you’ve been arrested for a DUI in Montgomery County, PA, it is important to understand your rights. A DUI charge in Pennsylvania carries serious consequences that can impact your life for years to come. Even a first-time DUI charge carries up to 6 months’ probation or imprisonment, a $300 fine, alcohol highway safety school, and in most cases, a 12 month license suspension. The sanctions imposed by the Pennsylvania government may only be the beginning. You may also face higher insurance rates or have difficulty accessing certain federal aid or other benefits due to having a criminal record. Second and subsequent DUI charges carry heavier consequences. It is important that you hire a DUI lawyer in Montgomery County, PA, if you are facing DUI charges. Even if you failed a breathalyzer, blood, urine, or roadside test, you still have important rights under the law. You won’t face automatic charges just for failing these tests and you still have the right to defend yourself in court. McMahon, McMahon, & Lentz are aggressive DUI lawyers who will review the details of your case and offer you the quality representation you deserve. Our firm works hard to help you get the best possible outcome for your case. You are innocent until proven guilty under the law. Of course, from the moment an officer stops you on suspicion of DUI, he or she is working to gather evidence to show that you broke the law. If you are under arrest, it is always best to be respectful and courteous to the arresting officer. Your DUI lawyer can later review the circumstances of your arrest and determine whether evidence gathered against you is admissible in court. Lack of Probable Cause or Reasonable Suspicion. When an officer stops you, he or she must have probable cause that you have committed a crime or reasonable suspicion that you violated the Pennsylvania Vehicle Code in order for the stop to be legal. If the officer didn’t have a legal reason to stop you, any charges could be dropped and evidence gathered against you can be thrown out. The officer must follow proper police procedure when arresting you. This means that your Miranda Warnings must be read before the officer asks you to give a statement or questions you regarding the offense once you are in custody. If the officer fails to follow proper procedure, your case may be dropped. A DUI lawyer can review the circumstances leading up to and following your arrest to make sure that your Civil Rights are protected and that they weren’t violated. Improper Administration of Field Sobriety Test. Field sobriety tests are known to result in false positives. If these tests are improperly administered or if officers aren’t properly trained, they may arrest you without cause. In fact, certain medications and medical conditions can result in false positives for field sobriety tests. Defective Breathalyzer. Your DUI lawyer will take a look at the model breathalyzer used to obtain your BAC. Was your blood alcohol level taken right after your arrest, or did officers wait? This can all impact the results of the test. If the breathalyzer wasn’t properly calibrated, false results can also be obtained. Blood Test Was An Unlawful Search and Seizure. Since the U.S. Supreme Court’s recent decision in S. v. Birchfield (June 23, 2016), a blood test is a search subject to the Fourth Amendment’s warrant requirement and a motorist cannot be criminally punished for refusing to consent to a warrantless request for a blood test. Accordingly, if you consented to a blood test based on the officer’s warning that you would face a more severe criminal penalty if you refused, your DUI lawyer may be able to have the blood test results thrown out. Please note however that implied consent laws which impose civil penalties, such as a license suspension, for a refusing a blood or breath test are not unconstitutional. Civil Rights Violations. If an officer racially profiled you before arresting you, or treated you in a way that violated your Civil Rights, a DUI lawyer may be able to use this to get your charges dropped. There are many valid DUI defenses. A qualified DUI attorney can take a close look at police reports, police statements, and your account of your arrest to determine whether any of these defenses can be used. Other factors can also result in false test results or mistakes on the part of police. 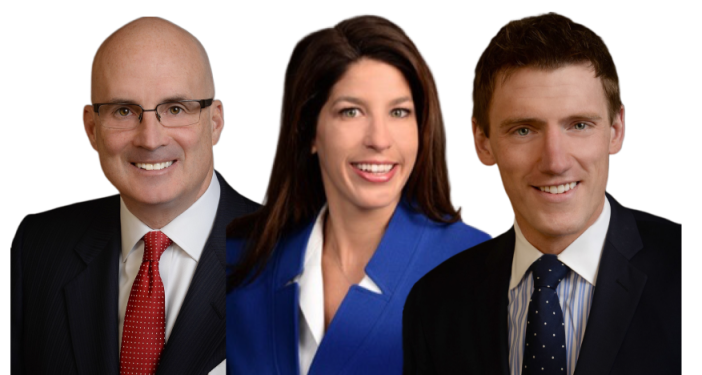 McMahon, McMahon, & Lentz are DUI lawyers in Montgomery County, PA who offer each client personalized attention both inside and out of court. Do I Need a DUI Lawyer in Montgomery County? If you’re facing DUI charges, the consequences go beyond fines and alcohol courses. Without proper legal representation, you may have a criminal record, which can impact your future and your rights. You may also face higher insurance premiums if you are found guilty of a DUI. With your reputation and your future on the line, you need a qualified DUI attorney working on your side to protect your best interests. Every case is unique. A DUI lawyer may be able to help you get charges dropped or reduced. If you are facing a DUI charge, you need McMahon, McMahon, & Lentz, aggressive DUI attorneys in Montgomery County. Who is the Best DUI Lawyer in Montgomery County? McMahon, Lentz & Thompson are qualified DUI lawyers in Montgomery County, who work hard to protect their clients’ legal and civil rights. DUI law involves many different elements of the law. Our firm has helped many individuals facing DUI charges get a “not guilty” verdict. Take a look at our results. If you’re facing a DUI charge, it is important to hire a lawyer as soon as possible. We can work with you every step of the way. Contact us today to protect your rights and learn more about how we can help.